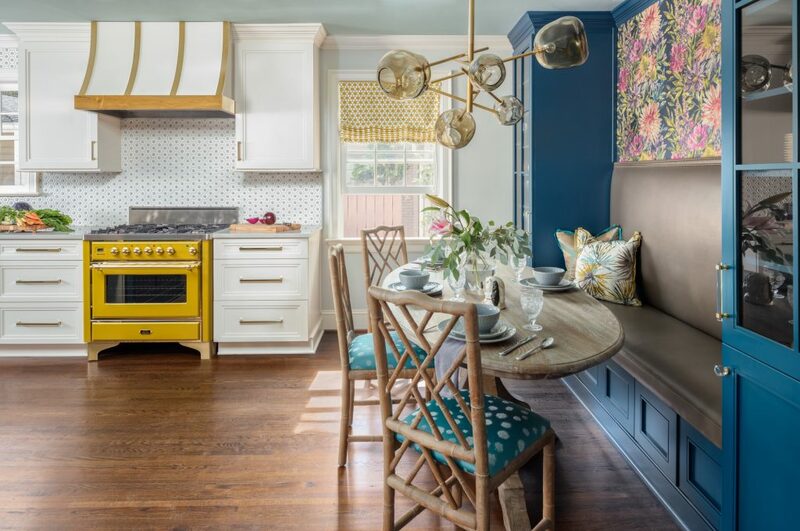 When it came to designing this Charlotte, NC kitchen, Karen Kettler from Karen Kettler Designs and her client opted for a traditional open layout with one twist – a pro-style range with a bold impact. 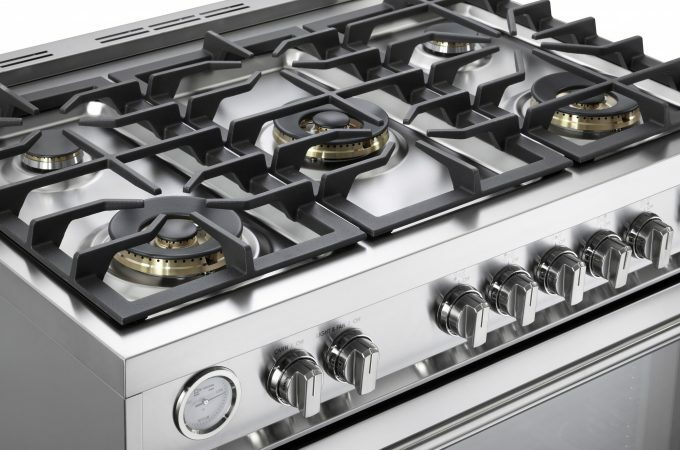 During the first design meeting the client expressed her desire for a range that was both aesthetically pleasing and available in a unique color. Together they chose a 36″ ILVE Majestic Range in RAL Color 1027, Curry with Brass Trim. “We were delighted that ILVE Appliances could produce any color on the RAL color wheel on such a short lead time,” says Karen. Karen prides herself on taking a collaborative approach with her clients, encouraging them to start with the most loved element and evolving the design from there. “For this project, the range was the love,” says Karen. This kitchen renovation required knocking down walls to combine an unused dining room with the existing kitchen for an open floor plan. 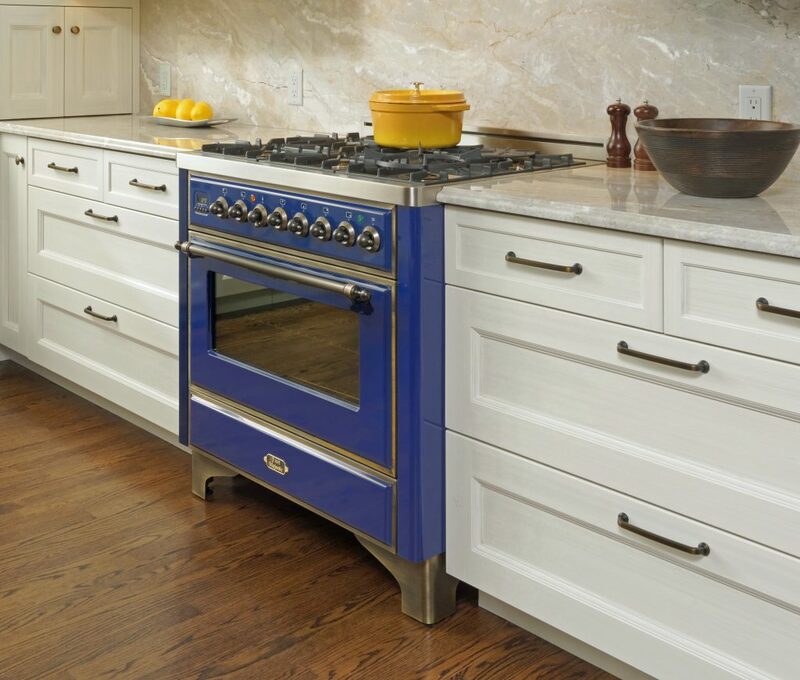 A large, blue colored middle island was installed which perfectly complemented the range. 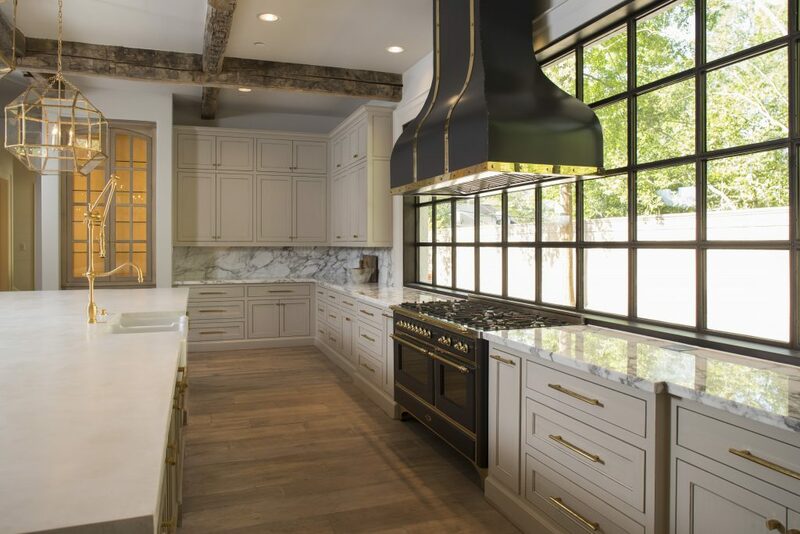 Brass cabinet hardware and fixtures were used throughout the space for a clean, modern look. For more information on ILVE’s award winning RAL Custom Color Program, click here. Thank you to Karen Kettler Designs for sharing their ILVE kitchen. Photos courtesy of Joe Purvis. Designers are steadily moving away from stainless steel appliances and beginning to introduce more color options into their kitchen designs. 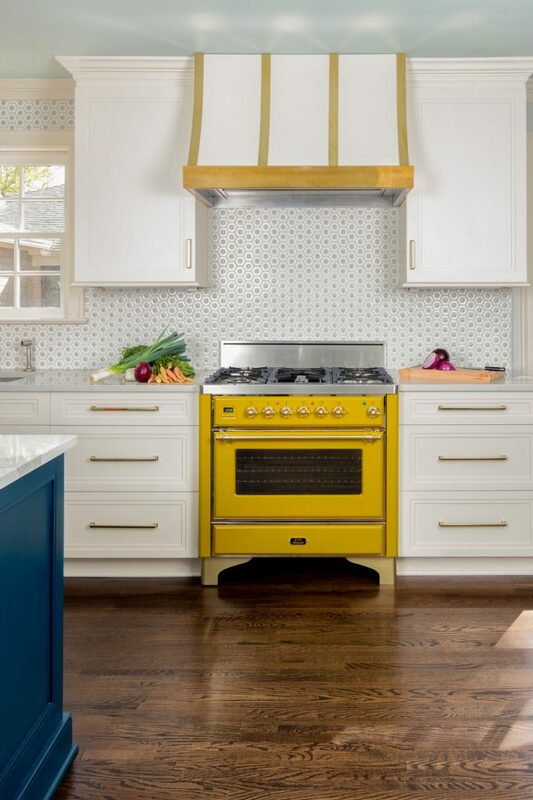 Bringing color into the kitchen with ranges, ovens and cooktops can transform your appliance into the focal point of the room while simultaneously setting the mood of the design. Below are five trending colors for appliances that bring personality into the kitchen. 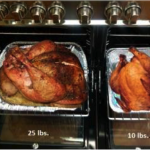 Photo courtesy of Jennifer Gilmer Kitchen & Bath Ltd. Incorporating cool shades of blue promotes calmness and peace in the kitchen – perfect for the room where the family gathers. Light blues are often associated with relaxation while bright blues are more energizing. Dark blues, like navy, are excellent for promoting strength and reliability. 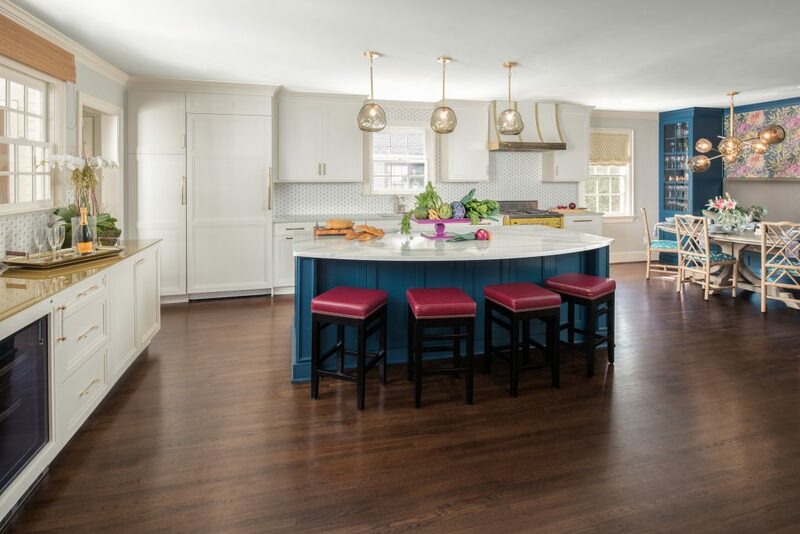 All shades of blue can be easily matched with common kitchen surface areas. 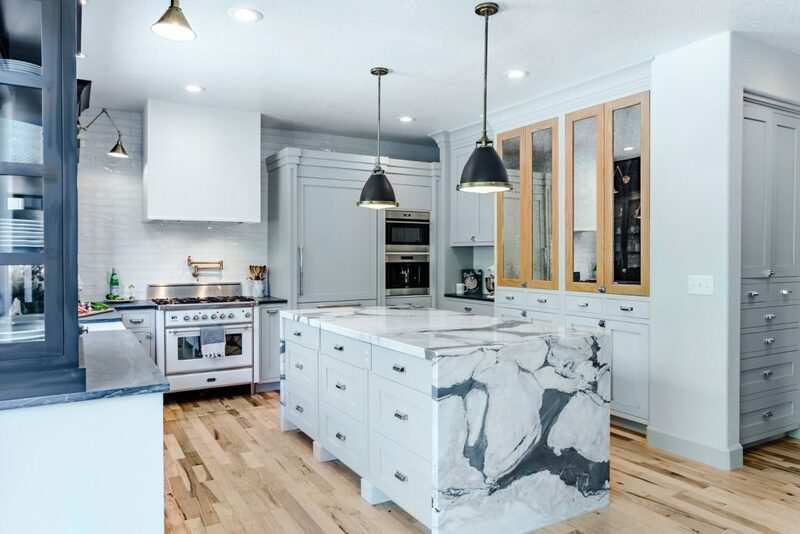 White appliances make spaces appear larger through the “clean palette effect.” The trendy bright color brings a fresh and invigorating element into the kitchen. The simplicity of white also allows for greater freedom when choosing different accents and textiles for the design. 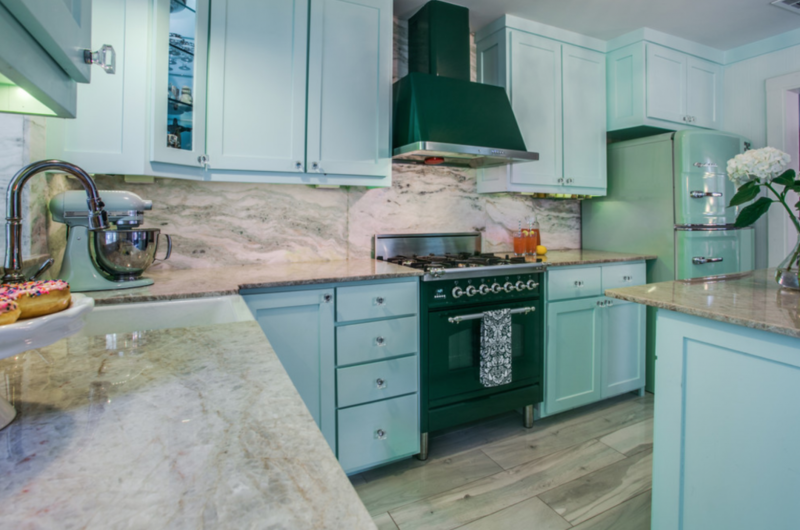 The desire to bring the natural elements indoors can be accomplished by choosing shades of green for your appliances. The color creates a fresh and airy feel in the kitchen while symbolizing growth and new beginnings. 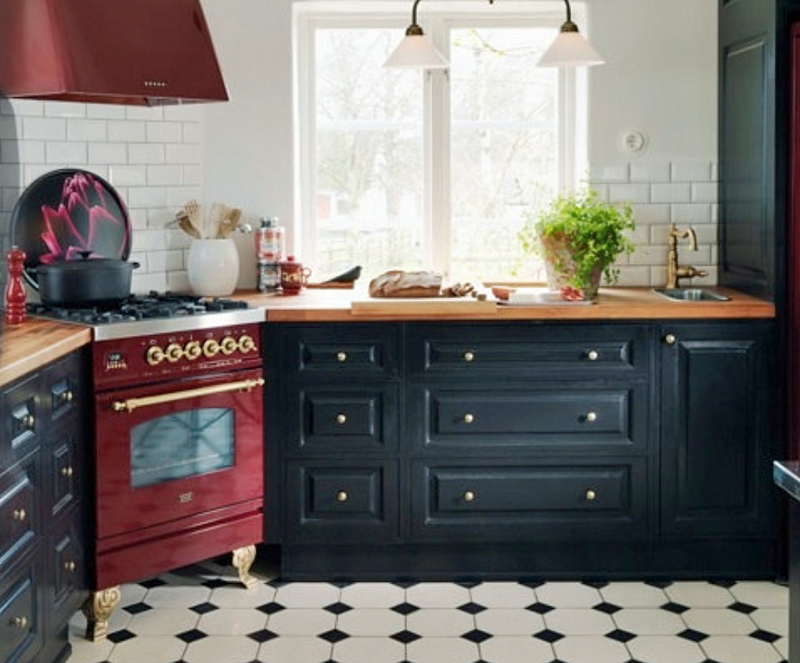 Black appliances create a chic, yet sophisticated, atmosphere in the kitchen while matching perfectly with almost any other scheme. 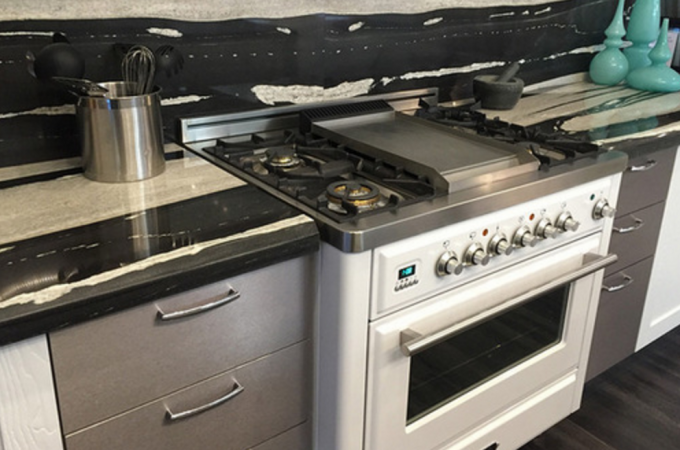 Black appliances are also non-committal, allowing you to switch between different design styles such as modern, elegant, transitional and/or industrial as you please. Red creates a warm and inviting appeal to the kitchen which inspires an invigorating atmosphere that is perfect for entertaining guests. The bold color is perfect for kitchens thanks to its known ability to fuel an appetite and start conversations.